In March, two Belarusian youngsters attempted to commit suicide while playing a 'game' on the popular Russian social network VK. Belarusian law enforcement services have initiated two criminal cases, connecting the suicides with a game called ‘blue whale’, especially popular in Russia and Ukraine. The game consists of 50 dangerous quests which youngsters, threatened by the game's administrators, have to perform in reality. In other countries, such as Russia, Ukraine, Kyrgyzstan, and Kazakhstan, even more children have committed suicide playing the game. The Main Internal Affairs Directorate has revealed that thousands of Belarusian youngsters have already registered in the dangerous groups and informed schools and parents of the danger. Nevertheless, a direct correlation between teen suicides and the game remains difficult to draw. The overhyping of the game in the media is not evidence of the game's existence in real life. Under such circumstances, it is important that control of social media does not turn into censorship. What is the ‘Blue Whale’? 'Blue whale’ has become the code name for a range of dangerous internet pages on the Russian social network VK. These pages and groups appeared on VK in 2015 in Russia, Belarus, Ukraine, and Kyrgyzstan under the names ‘blue whale’, ‘wake me up at 4:30’, and ‘silent house’. Allegedly, the groups target youngsters by enticing them to play a game which later involves risky and dangerous tasks which must be performed in reality. The last task is suicide. The game consists of 50 tasks, such as drawing a whale on your arm using a blade or listening to psychedelic music. The game can last from 50 to 57 days and involves personal threats and psychological pressure on youngsters. The scenario of the game is always similar. Moderators threaten youngsters and demand that they follow their instructions. If the child wants to quit the game, moderators threaten to kidnap their relatives. The media has reported many cases in which parents or friends found children's ‘last note’ and managed to prevent suicides. 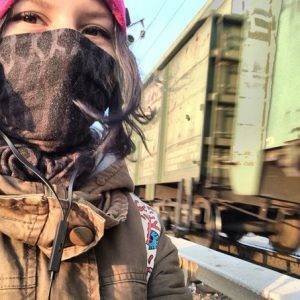 Recently, a student from Vitsebsk saved the life of her 17-year old friend, who was playing the game and left her last note on her VK page. Even though the Russian Investigative Committee uncovered the identity of the man who created the ‘game’, the popularity of the ‘blue whale’ only seems to be growing. In 2016, Filipp Budejkin, a Russian national, was accused of inciting 15 young people to suicide over the internet via ‘death groups’. At the same time, media in Kazakhstan, Ukraine, and Russia are still reporting an increased number of suicides connected with the game. Are Dangerous Games Becoming Popular in Belarus? The number of players in Belarus is on the rise and has already led to several dangerous incidents. TUT.by reports that thousands of Belarusian youths have registered in ‘death group’ on VK. During the last month, investigative committees initiated two criminal cases after two young people in Vitsebsk and Minsk intended to commit suicide playing the game. Two 14 and 15-year old girls in Hrodna ended up in psychiatric care after their participation in the game came to light. Although the media in Belarus has reacted to the popularity of the ‘death games’, the Belarusian government and security services remain silent. Belarusian rescue services recently encouraged parents to be on the look out due to the increasing number of suicides. However, on the next day, the Ministry of Internal Affairs stated that the suicide rate among young people caused by social media has not risen. Public awareness about the dangerous game in Belarus is growing. Some schools have sent text messages to parents informing them of the possible danger. Meanwhile, the media aim to conduct their own investigation and gather more information from officials. More and more psychologists are recommending that parents keep track of their children's activities on social media. Several weeks ago, local officials in Hrodna distributed information to all schools and encouraged teachers to conduct parent meetings discussing the possible danger. An investigative committee in Minsk is currently attempting to identify the real identities of the groups’ administrators. Although many Belarusians are alarmed about the danger of ‘death groups’ on VK, some parts of society doubt whether the danger exists at all. An investigation of the influence of social media groups on youth suicides first appeared in the Russian publication Novaya Gazeta. Meanwhile, following a wave of heated discussion, some media outlets believe that the phenomenon is a myth created by the Russian government as an excuse to control social media and the internet. In Kyrgyzstan, authorities have already announced their intention to increase control of the internet. On 20 March, the vice-speaker of the Russian Duma announced that youth suicide had increased by 57% since last year. However, according to sociologist Evgenii Andreev, the number is most likely fake, as it was announced two months before an annual UNICEF report on suicide statistics. Suicide in Belarus has been falling over the last several years, to 13 suicides among 10-17 year-olds in 2016. The decreasing number of suicides in Belarus provides weak evidence of the existence of ‘death groups’. The number of 'death group' members on VK also calls the real threat of the game into question. The investigation by Novaya Gazeta has provoked a wave of discussion which could unintentionally widen the popularity of groups with names such as ‘blue whale’ or ‘4:20’. The Belarusian Investigative Committee stated to TUT.by that youngsters themselves are becoming moderators, employing psychological pressure to persuade their peers to commit suicide. Although the existence of death groups is still under question, law enforcement agencies are attempting to control the situation in Belarus. Recently, the Main Internal Affairs Directorate submitted a list of children registered in dangerous groups to the Ministry of Education. Teachers and school psychologists aim to reach parents to prevent possible suicides. Nevertheless, the investigative committee has yet to clarify any measures taken against moderators and administrators of such groups. More young people are now becoming active users of social media. There is therefore an urgent need to teach children internet safety. Despite heated debates surrounding the dangerous games, it remains important to maintain a balance between control and censorship. Extended control of social media activity could easily turn into restriction of freedom of speech and intrusion into private life. The precedent was set in 2009 when the government of China restricted access to Facebook and Youtube as a safety measure. Ever since it released important political prisoners in August 2015, the Belarusian government has rarely resorted to outright violence against dissidents. This paradigm shift facilitated the removal or suspension of most Western sanctions against Belarus. The parties were able to move from confrontational rhetoric to positive dialogue. The Belarusian authorities’ resolute return to large-scale repression against opposition in March 2017 took the West by surprise. European and American diplomats have failed to rapidly formulate a coherent response to this policy change. Is the Belarusian government taking the West’s toothless reaction as tacit consent for a ‘temporary’ backslide on democracy? Over the past year and a half, Belarusian political activists became used to a softer, more restrained approach by law-enforcing bodies to oppositional street activities. The police refrained from dispersing incidental opposition rallies and beating or detaining its participants. In 2016, the Human Rights Centre Viasna recorded only a single administrative arrest related to freedom of assembly. Meanwhile, they learnt about 484 cases of fines for alleged administrative offences related to freedom of assembly or speech. This was a seven-fold increase compared to 2015. For the authorities, this new approach meant less bad publicity which detentions inevitably caused, but also more budget revenue from fines. The change in the Belarusian government’s behaviour initially gladdened the West. The ‘peaceful re-election’ of Alexander Lukashenka provided Europe with sufficient grounds (actually their only basis besides the earlier release of political prisoners) to remove Belarusian companies and officials from the sanctions list. On 9 March, Lukashenka sent the first clear signals that his tolerant policy on public rallies would come to an end. At a government meeting dedicated to dealing with unexpected rallies in provincial towns, Lukashenka ordered his government ‘to pick out provocateurs like raisins from a roll’ and punish them according to 'the fullest extent of the law’. To put an end to the increasingly popular protests, the authorities decided to decapitate them by arresting oppositional leaders. Large-scale arrests and criminal proceedings based on farfetched charges of 'terrorism' and 'provocation' aimed at instilling fear in potential participants. Within a few days, over 300 people were detained for peacefully protesting the 'parasite tax'. Even though protesters put up little resistance, many detentions were violent. Some were carried out by people in civilian clothes who refused to identify themselves or state the charges. A perfect illustration of the authorities' strategy was the action they took against the leaders of the centre-right coalition of Anatol Liabiedzka, Yury Hubarevich and Vital Rymasheuski on 10 March. Unidentified plain-clothed people detained the activists by force when they returned from a peaceful rally in Maladziecha and threw them in an unmarked bus. Liabiedzka streamed the detention on Facebook. On the next day, a judge sentenced the leaders to 15 days arrest – just enough for them to miss the rallies on 15 and 25 March which they co-organised. On 13-16 March, with the repression in full swing, many high-level European officials visited Belarus. Most of them met with Lukashenka and paid visits to Belarus's puppet parliament. At meetings with the press in Minsk, few Western officials spared more than a couple carefully worded expressions of concern over the ongoing wave of repression. Germany’s Minister of State for Europe Michael Roth went the furthest, calling for the ‘immediate release of all detained’. Belgium’s Deputy Prime Minister Didier Reynders downplayed the importance of mass detentions, insisting on ‘a very clear difference between administrative arrests… and real prosecution for criminal facts’. Reynders repeated this mantra three times as if he was trying to convince himself of the veracity of his position. Christine Muttonen, President of the OSCE Parliamentary Assembly, praised her ‘colleagues’ in the Belarusian parliament for the country’s progress on gender issues but failed to intercede for Belarusian women jailed for peaceful protest. The European External Action Service waited a week after the large-scale repression started before issuing their first formal statement. On 17 March, the EEAS’s spokesperson called for the immediate release of detained peaceful protesters but stopped short of condemning the Belarusian authorities. Certainly, there were a few exceptions. Joseph Daul, President of the European People’s Party, spoke about brutal arrests in Belarus already on 11 March. Børge Brende, Norway’s Foreign Minister, as well as the foreign ministries of Poland and France, also issued their statements of concern closer to the decisive day of 25 March. 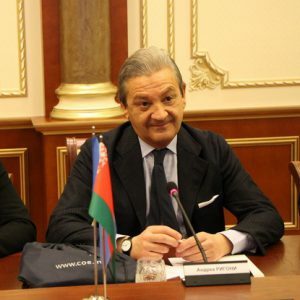 Many social network users in Belarus were enraged by statements made by Andrea Rigoni, rapporteur of the Parliamentary Assembly of the Council of Europe on Belarus, during his visit to Minsk on 24 March. Asked by journalists whether he would mention large-scale detentions in Belarus in his report to PACE, Rigoni said, ‘We do not have such information. We hope that they are not so numerous’. ‘We were told that the detentions were purely administrative and fully complied with current legislation’, the rapporteur added. Moreover, Rigoni admitted that he knew nothing about the forthcoming rally on Freedom Day in Belarus before coming to Minsk. The rapporteur’s ignorance of the main events of Belarus’s political calendar has demonstrated his lack of competence in Belarusian affairs. Rigoni’s case, as well as the wording of statements of a few other European diplomats, have shown that some Western officials tend to trust hypocritical or outright deceitful statements of their Belarusian counterparts. Some Western diplomats apparently bought the official story about provocations and possible violence during unauthorised rallies. Andrea Wiktorin, the Head of the EU Delegation to Belarus, emphatically stressed on 14 March that 'all parties should refrain from violence', thus indirectly confirming the authorities' tall tale about the violent intentions of the opposition. Some EU officials chose to believe that the violence during the arrests was merely the result of excesses of over-zealous police officers. They also never contested the dubious comparison between actions of Belarusian policemen against peaceful demonstrators and the European police’s response to violent outbreaks. Belarus’s foreign minister Vladimir Makei reassured his EU partners that the situation would resolve itself after the administrative terms expire. Probably, their hope was that Belarusians, deprived of their usual leaders, would fail to show up for the rally on Freedom Day – thus sparing the government from using force. Only after the detention of over 700 peaceful protesters and mere bystanders on 25 March did most Western governments and institutions harden the tone of their statements on the Belarusian government's actions. However, the Belarusian government has only continued to follow the course it adopted much earlier. Increasingly numerous arrests and sentences over the past two weeks should have warranted a stronger and earlier reaction. While a more outspoken Western reaction from the very beginning would hardly have prevented the authorities from reverting to their tried-and-true tactics on discouraging dissent by brute force, it could still have softened the repression. Besides, it would have provided much needed support to the protesters, showing that during times of necessary pragmatism, the West still remembers its values.